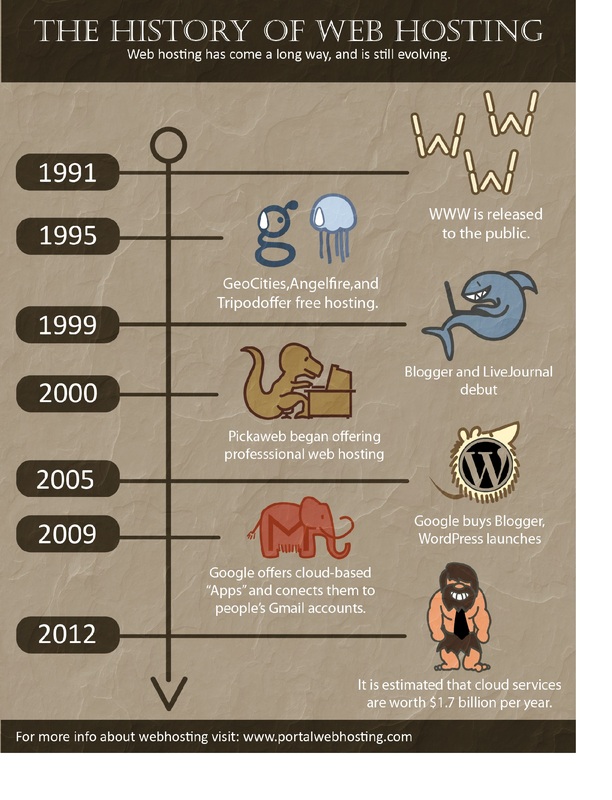 Webhosting has come a long way. With better technology and storage options, Portal Web Hosting can help your company out of the Stone Age and into the 21st century. Storage, domain, and bandwidth are all important topics when considering which web hosting options to choose for your online business. Learning more about the features to look for in a hosting company and the options available will help you choose the best web hosting package that meets your personal business needs for many years to come. The cost of your hosting service is important, but cost definitely isn’t the bottom line when choosing the option that is right for your business. You will want to consider the reputation of the company, the availability of customer service representatives, and whether the features most important to you are offered. For example, if you need assistance building your website, a company with excellent customer service and website building tools is the best option. The size of your business and whether you plan on expanding is also a consideration. Larger businesses will need more bandwidth and may need some extra features, such as shopping carts, that make your site exceptionally customer friendly. Smaller businesses will usually begin with a basic web hosting service and then upgrade as needed. You should definitely choose a web hosting package that includes an email for business only. A business email address is more professional and ensures your customers know who is contacting them. The web hosting options available include virtual private servers, managed web hosting, and shared hosting. Shared hosting is an excellent option if you don’t have a lot of experience with building and maintaining your own website. Shared hosting is also an option that works well for small and mid-sized businesses. Blog owners and people with a personal site can benefit from choosing a basic package that includes one domain name. Some businesses require more than one domain name to serve customers. The best web hosting option if you plan on expanding your business or have a large e-commerce site is to choose unlimited bandwidth, unlimited email addresses, and unlimited data storage. Opting for cloud-based storage is an optional feature that is best if you want to be absolutely sure that your databases are securely stored and backed up. With Portal Web Hosting, you can find all the services you need for a reliable, secure, and well-maintained website. People all around the world browse the internet. 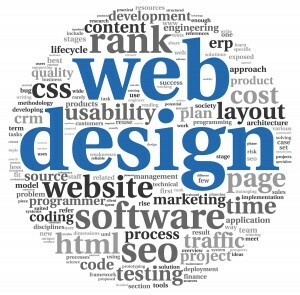 With a web presence, you can attract hundreds of thousands of viewers. Many factors play into a company’s online visibility. One of the most important is a reliable web hosting company. 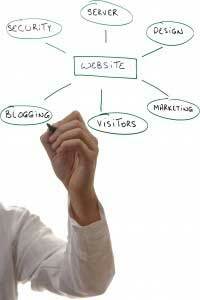 Web hosting companies help businesses establish, develop, and grow their online presence in a variety of ways. Some web hosting businesses simply provide a platform and spotty technical support while others provide attentive customer service, ongoing support, and proactive maintenance. A good web hosting company will help you setup a user-friendly, audience-specific website easily and efficiently. After the initial setup, however, you need a reliable hosting company that will be alongside you through the ups and downs of life and business on the internet. The technicians at Portal Web Hosting don’t simply set up your website and leave. Instead, they provide 24/7 support, consistent backups, and more to keep your website functioning properly. Without a reliable hosting company, you may have difficulty reaching support services when issues occur. You might lose vital data due to incomplete backups. When choosing a web hosting service, choose a company you can count on to keep your site running with minimal downtime. Reliable web hosting can be the difference between business success and failure. For many people, the World Wide Web is difficult to define, understand, or imagine. When your web site crashes, you become invisible to your customer. Portal Web Hosting is a reliable and affordable web hosting company that keeps your web site visible. You can’t make money if you are not open for business; however, some business owners don’t really track their up-time rates. A brick-and-mortar store publishes its hours of operation. What are the open hours for an online business? Portal Web Hosting has professional IT staff working 24/7 to guarantee that your site is fully functional. We will discuss the target up-time rate that is acceptable when you sign the hosting contract. We have the best IT personnel, malware software, and tools to deliver first-class security. The United States Computer Emergency Readiness Team under the Department of Homeland Security has offered Security Tip (ST-04-015) on “Understanding Denial-of-Service (DoS) Attacks.” A hacker may flood your web site with data to prevent real customers from viewing your products and services. There is even something called a “Distributed Denial-of-Service” (DDoS) attack where a cyber criminal uses your site to attack another. When you hire Portal Web Hosting, you won’t need to keep track of all these hacker attacks. Sometimes a hacker attack will go unnoticed by the regular customer or business owner. Our IT experts will prevent, fix, and clean your site of any hacker bugs. We will keep your site humming! What makes quality domain and web hosting? Quality web and domain hosting begins with providing service for any type of hosted application and website. 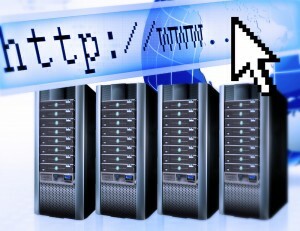 Portal Web Hosting takes the hassles out of hosting and operating a web site. We provide the latest tools and flexible structures allowing customers to fulfill all their online needs. Small or large, customers benefit from affordable, scalable, and flexible service and great customer support. Portal Web Hosting quality web and domain hosting services provides a wide selection of cloud server, reseller packages, and web hosting with the best customer service possible. More than 10,000 customers trust us to deliver expert solutions and affordable prices. Easily install your preferred web app with just a quick click. We provide safe and secure domains and powerful cloud servers with custom fitting packages that vary in storage, speeds, processors, and prices. Our quality web and domain hosting cloud infrastructure is a service that runs all web applications. Highly trained customer service technicians are able to put you in the best plan at the right price available today. We can register domain names, transfer them, manage, renew and update names. Become your own reseller. Better than being a virtual or dedicated server, reseller packages allow customers to focus on growing businesses instead of dealing with web server issues. Reseller plans give customers all the script and site management tools they require on our high-performance web servers. Plans give customers access to full refunds on managed services. Systems are fully turn-key operable within four hours usually, but always within 24 hours or less. Our managed hosting options allow customers to spend their time wisely on business practices and other functions. Rather than losing time having to monitor around-the-clock, we deal with daily server issues. Ensuring security and online safety, SSL Certificates are available in a variety of packages. They feature locked padlock symbols to display on your site letting clients know business can proceed with confidence. Besides encryption, SSL certificates also includes authentication. Once you sign up for any of these services, they’re generally available immediately. Portal Web Hosting pro-actively deals with customer needs for functional, affordable, and strong hosting solutions. We’re all over the Upper Midwest with everything from multi-homes to Tier-1 providers. Our special sauce comes from providing honest, straight-forward customer service. Software products can be customized for customers along with dedicated server hardware. Linux hosting also is available. Both Linux and Windows hosting feature 14-day trial programs. Technologies available n web hosting plans inckudes powerful Plesk, cPanel, or CP’s, Linux CentOS and Windows Server 2008R2, and support for Apache, .NET, IIS, and PHP. Choose from the best of WordPress, Drupal, Joomia, MyBB, SMF, phpBB, and others. E-mail services are free with any hosting plans. They include webmail, POP or IMAP. Other all-inclusive services include basic, cost-free sam filtering and outbound filtering. MySQL database is in all web hosting packages along with access to the MS SQL server, quick restores, and easy DAA base management. Control panels add dedicated functions to servers and are supported around-the-clock. Based in Aberdeen, South Dakota, Portal Web Hosting provides state-of-the-art internet, video, and telecommunication services to Northeast South Dakota. James Valley Cooperative Telephone Company owns NVC. The company was created in 1951. For more information about quality web and domain hosting or to order web services, feel free to e-mail, call toll-free or fill out our easy-to use online form for friendly customer service and technical support 24/7. Professional staff always is available.